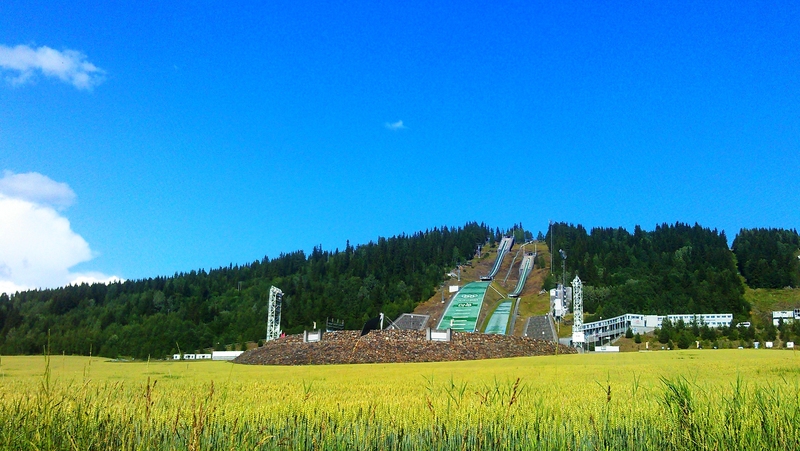 Next place on the list was Holmenkollbakken in Oslo. 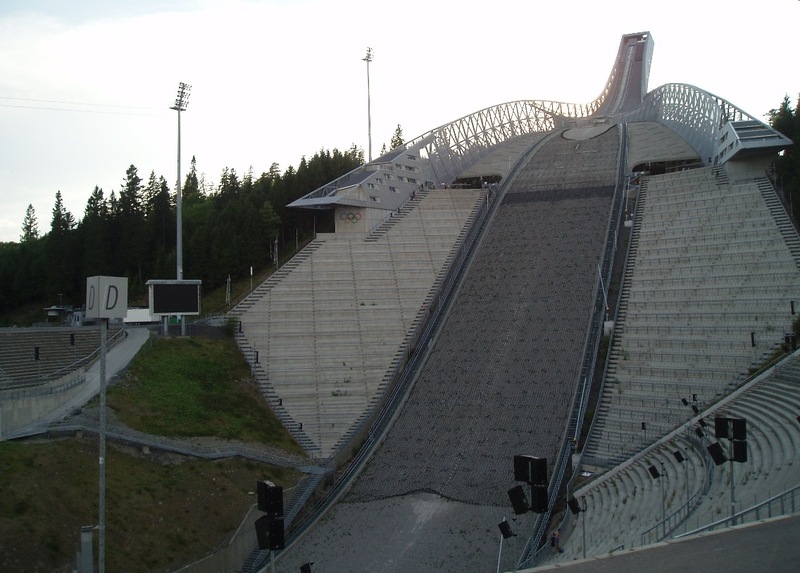 A large ski jumping hill is co-located with Holmenkollen Ski Museum, which presents the history of skiing. Talking as somebody who’s not very enthusiastic about museums, that’s a really good one. The hill is 375 meters (1,230 ft) above mean sea level, so from the top you get an amazing view of the city, but because we were there at 8pm (on that day I was especially grateful for those 11pm sunsets) and I was taking all my photos with mobile phone, I only have one decent photo of the view to show. Since we were flying just an hour away from Oslo, it was mandatory to stop in Norway’s capital. 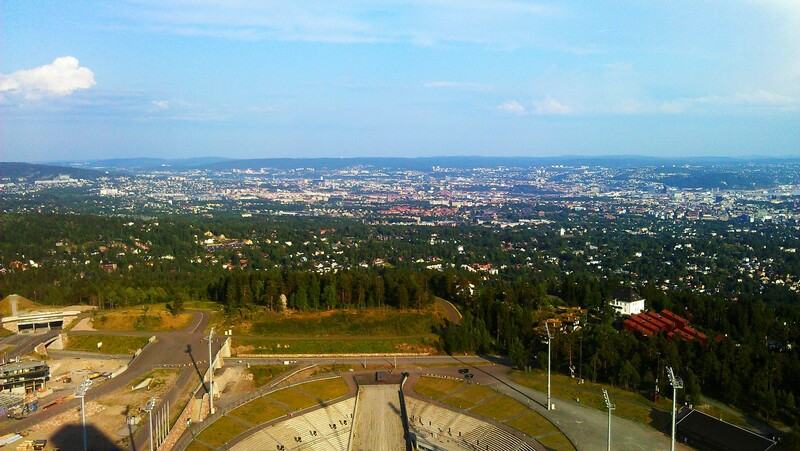 Oslo’s beautiful. 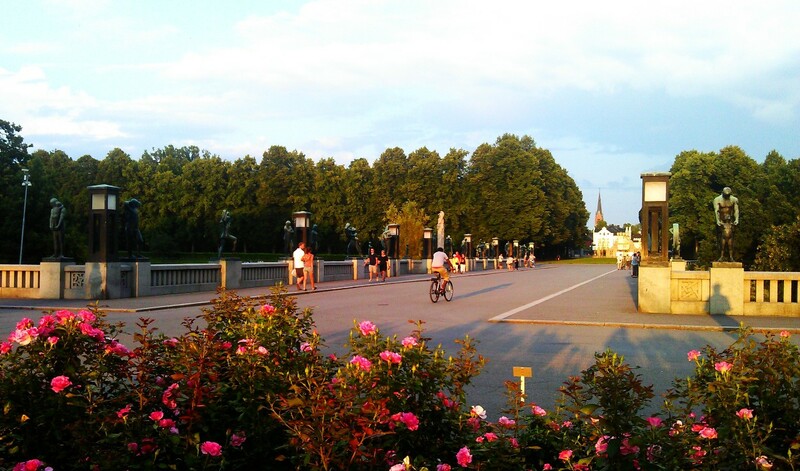 If you’re there for a short time, add the Vigeland park to the list of things that need to be seen. Opera is stunning as well, but we somehow managed to get into one of the weirdest quarters when trying to get there and it ruined the experience a little. It looked like high crime area, and passing several groups of males and drunk people did not make me feel very comfortable (it was Friday night, if I remember correctly). I later read online that this area better be avoided at night. Just go there in the afternoon or morning and I’m sure your experience will be better than mine was. When we left the city, it was over midnight already. To sum up, I highly recommend you visit the country, just take more time than we did. 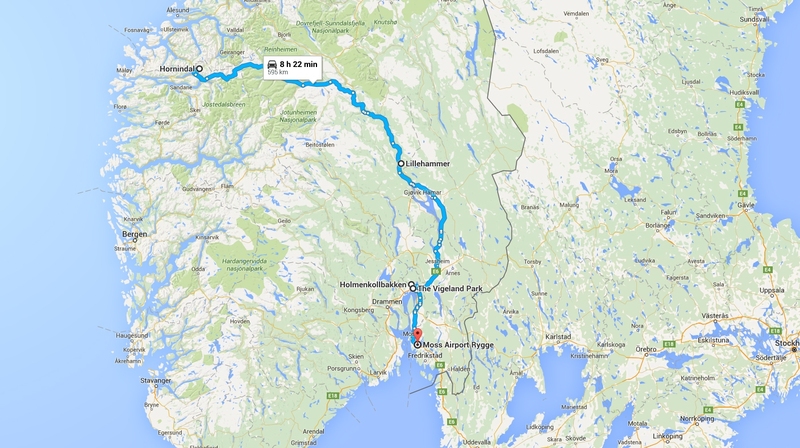 If I could do it again, I’d plan 10 days or maybe even two weeks for the route we did. Go slow and enjoy.